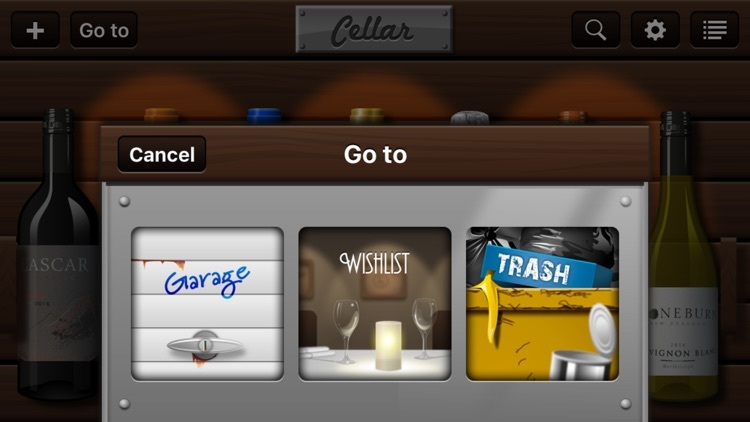 With Cellar, managing your wine collection is simple. 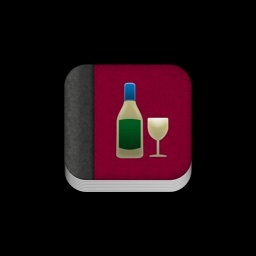 You can include all information such as vintage, grape, producer, region, pairings, and more. 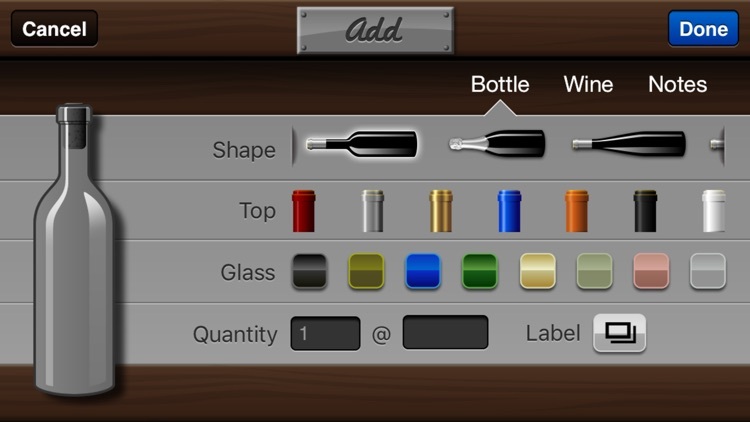 The app also lets you customize each bottle with the shape, color, bottle top, and wine label. You can receive statistics about your collection and use the cool shake-to-choose feature and Cellar will pick a bottle for you. For a visually pleasing and easy-to-use wine management app, check out Cellar. 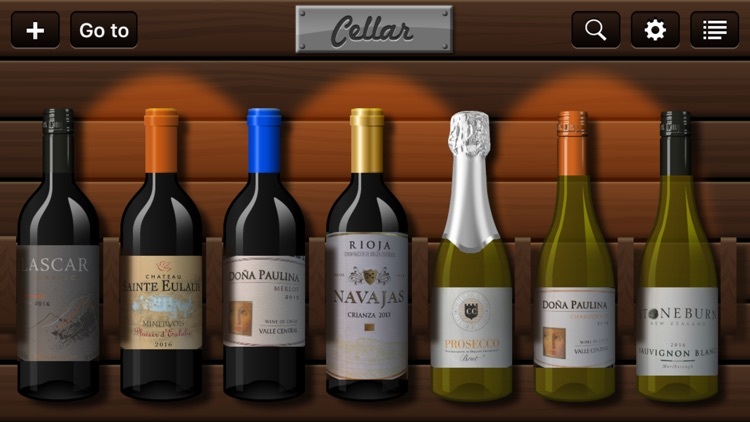 Cellar is a great way to manage your wine collection. It's not just a bland list of names and vintages - it's a proper cellar! Browsing your wine collection is like looking at the real thing. Cellar is more than just a Cellar. It's a Garage, Wishlist and Trash skip as well! Finished a bottle? Move it to the Garage for future reference if you enjoyed it. Didn't like it? Move it to the trash, where you can locate it later if need be. 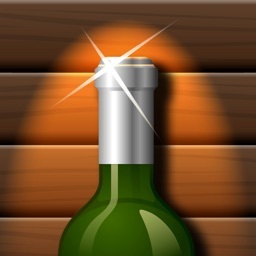 What about wine that you've been recommended or tasted in a restaurant? Enter it straight into your Wishlist and then move to the Cellar when you eventually purchase it. Sometimes viewing your wine in the landscape mode is not ideal. 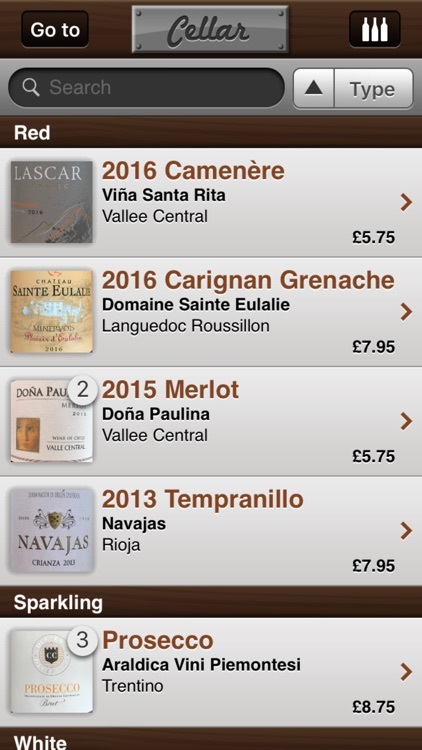 Simply tap the portrait mode button (top right) and you'll see a list view of your wines in all four locations. 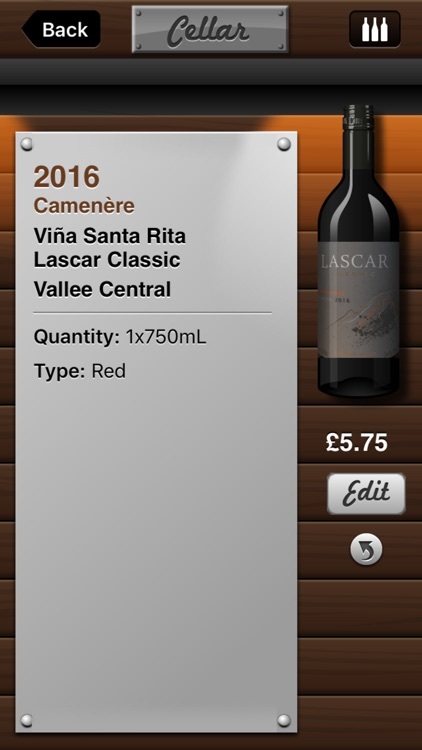 You can search for wine based on any of the data you've entered, as well as sort your entire collection based on: Type, Region, Vintage, Price or Rating. Search and Sort are available in both landscape and portrait modes too! Worried about losing all that info you've entered? Use our backup feature to keep a .cellar file copy on your computer. 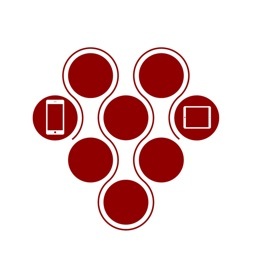 Meanwhile, 'Merge' allows people in the same household to enter half their Cellars each on separate devices, and then merge them both to create a complete database! 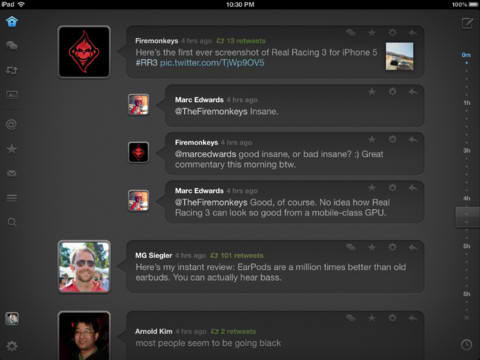 This feature is pretty nifty. 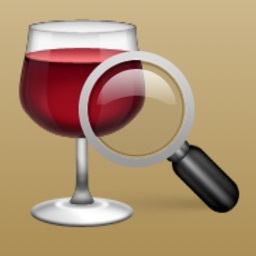 You've heard of emailing wine info to friends in other apps haven't you? Well this is different. When you email bottles in Cellar, you're actually emailing the bottle itself, not just some info about it. The recipient simply taps the link provided in the email and the whole bottle is downloaded into their Cellar, shape, glass color, label image, notes and all! 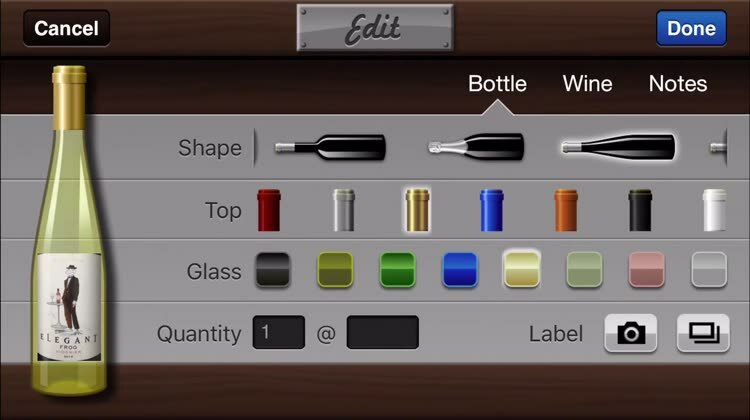 • Shake to choose - If you can't pick a bottle to drink, give your device a quick shake when viewing your collection and Cellar will choose a bottle for you! 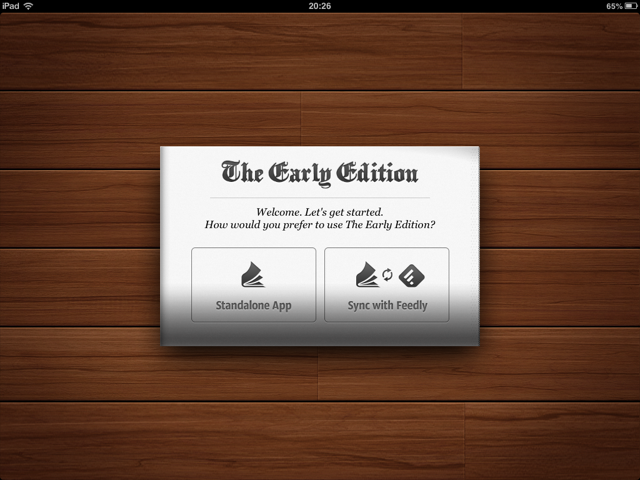 The Early Edition 2, the gorgeous newspaper-style feed reader app for iPad, has just received a new update. Glasshouse Apps has just announced that its flock of beautifully crafted iOS apps have been handed over to other studios for further development.